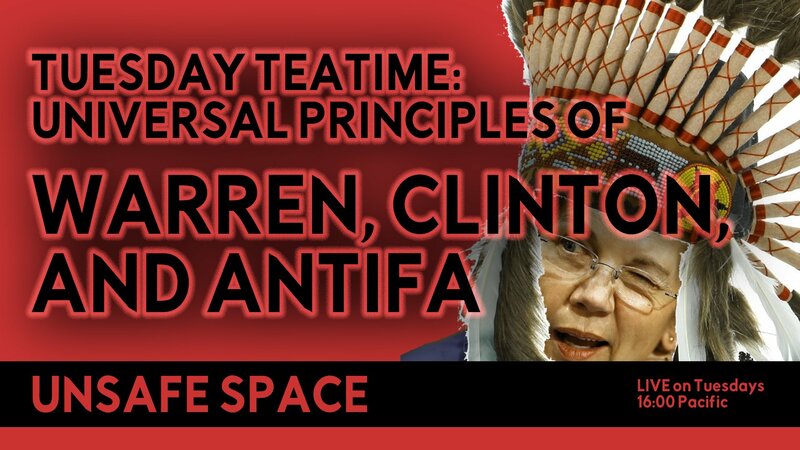 This week, I’ll talk about Elizabeth Warren’s Native American heritage (or lack thereof), Hillary Clinton’s fusion of political power and civility, and Antifa’s claim that speech supporting violent ideologies is in itself violence and can therefore be countered with violence. Please join me for the discussion, and feel free to Tweet ideas/suggestions/comments to me at @unsafeshow, or leave them here on Youtube. The Enlightenment brought the concept of universal application of philosophic principles to Western Civilization, but today’s leftists and their postmodern University charlatans have all but erased it from our culture. It’s time to bring it back. Every Tuesday at 16:00 Pacific, I’ll choose a few examples of ridiculous premises spouted on Twitter, cable news, or elsewhere, and talk about what would happen if we took these seriously and applied them to everyone universally.